In the beginning, there was iced coffee. Then coffee fanatics said, “let there be cold brew.” For those who aren’t familiar with this libation, cold brew coffee is exactly what it sounds like: coffee brewed in cold water, without heat, usually for about 12 hours. In recent years more and more cafes have begun offering their own cold brews, which create much deeper and less acidic flavor profiles. Evan Starbucks has already gone there, at least in select stores. Now, sharp-eyed shoppers will notice that a number of specialty coffee roasters are getting into the business of making cold brews, and selling them in cans and bottles on the shelves of retail shops. 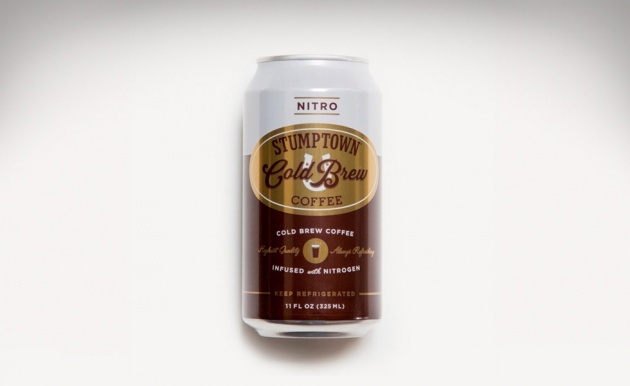 Hot on the heels of the craft beer trend, cold brew coffee is using much the same marketing imagery, from the shapes of some bottles to the fact that at least one brand even brews coffee with hops. The extra special effort required to make cold brew – and the particular taste it yields – jibes well with current consumer interest in specialized, small-batch, artisanal food and drink. Count on seeing bigger brands get into the bottled cold brew game at your local grocers soon.